The pre-sale begins tomorrow at 9am (AEST) for Q & A With Dean Martin on coloured double 12″ vinyl. 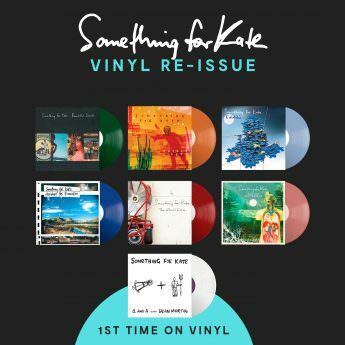 Released for the first time ever, along with a reissue of all 6 Something For Kate albums on colored vinyl, these items will be available from a selection of retailers and will be available to purchase internationally. Pre-order to secure your copy for a 31st August ship date. Links to retailers will be posted here tomorrow.